Bringing Deb Klein Photo to life! 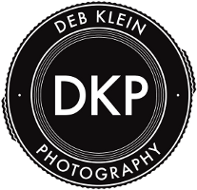 BLOG » Bringing Deb Klein Photo to life! Happy to be here! Grand Opening/Early-Bird Promotion. Having shot portraits of humans and animals for many years, this site serves as the next step in my professional life, and I hope to work with each and every one of you reading this! Don't live in New York? If you like my work, please pass it along to your friends in my area. In this blog, I'll cover things like my process, photo essays, promotions I offer, 'Best of' lists (you'll love these), guest posts by inspiring and influential photographers I know, and so much more. I'll be publishing about 2 - 3 times a month, and will announce these in my monthly newsletter and on my DKP facebook page. For now, here are a handful of some of my favorite images from the past year or so, in no particular order. Hope you enjoy! Read a bit more ABOUT ME and visit the galleries - let's work together. UNTIL APRIL 1, BOOK AND RECEIVE 25% OFF SESSION (excluding prints). Just mention this when you contact me. Feel free to share this deal, the more the merrier. Next Post: Rallies and Marches: a Photo Essay. The new normal?